1. It's not what you know but who you know. This myth is a holdover from the era of Western movies and superhero comics. Nice guys (always portrayed as pushovers or wallflowers) finish last because the villains and heroes walk all over them. In film, this may be true. After all, Tony Stark isn't a nice guy. He is an arrogant, self-centered genius. However, The Avengers aside, in real life, nice guys finish first quite often. While a person with low self-esteem who doesn't speak up will not be successful without change, a courteous business owner is appreciated immensely by customers and vendors. In today's modern world, people are used to dealing with machines, poorly-paid clerks, and online shopping. Finding a business person who is willing to offer them genuine customer service, build a relationship and spend time getting to know them to better serve them is rare. Many people are happy to pay more for real customer service. Therefore, being a "nice guy" is valuable to your contacts. They will remember your excellent service and come back for more. 3. Don't work hard. Work smart. 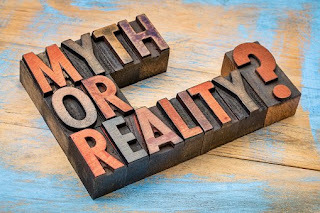 This myth is one of the worst business myths out there. There is no way you can run a business without working hard. Hard work is what separates the "men from the boys" as entrepreneurs. Successful entrepreneurs put in hours of labor to get their businesses off the ground. Working smart is just another way to say that there is a workaround or that you can find a way to skip the hard work. It just isn't possible in reality. If you aren't willing to work hard, you won't make it in business. 4. It's called work for a reason. It's not supposed to be fun. All work has elements that workers do not like to perform. It might be the paperwork that you need to fill out for each customer or the data entry on your last case. However, why can't work be fun?